Lots going this week in Oakland, and even better, a lot of it is free! There's music, a bike safety class, a bike party, and more. 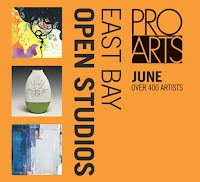 The East Bay Open Studios are going on this weekend, too. Gala Dinner at Children's Fairyland - Thursday, June 7, 6:30-9:30pm. The annual fundraising gala at Children's Fairyland. Read more at Oakland Local.